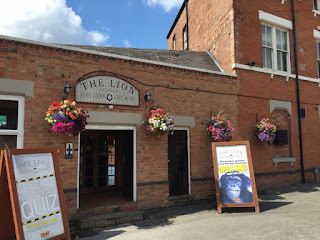 The Lion - Basford, Nottingham. How better to celebrate that a review featuring burgers!? 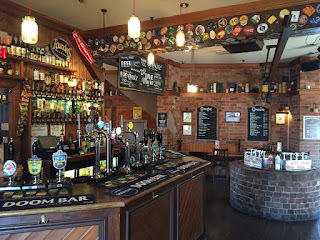 After a trip to Nottingham, me and my mum decided to stop off at The Lion in Basford. We've both never been before, as it isn't somewhere that we would usually drive past on our route into town. We pulled into the car park which overlooks the beer garden, it was a lovely warm day and would be perfect to sit outside with a drink - dogs are allowed! We were greeted by Greg, the landlord (who is also my uncle - but this doesn't affect the review in any way) and given a little tour around the place. It isn't what I was expecting at all. Upon walking into the bar, there are little knickknacks everywhere. It makes it feel really homely. I loved it. This well is where the barrels are lowered into the cellar, if you look through the glass, you can actually see all the way to the bottom! In between deliveries though, it is used for cutlery and a choice of 8 self service sauces. 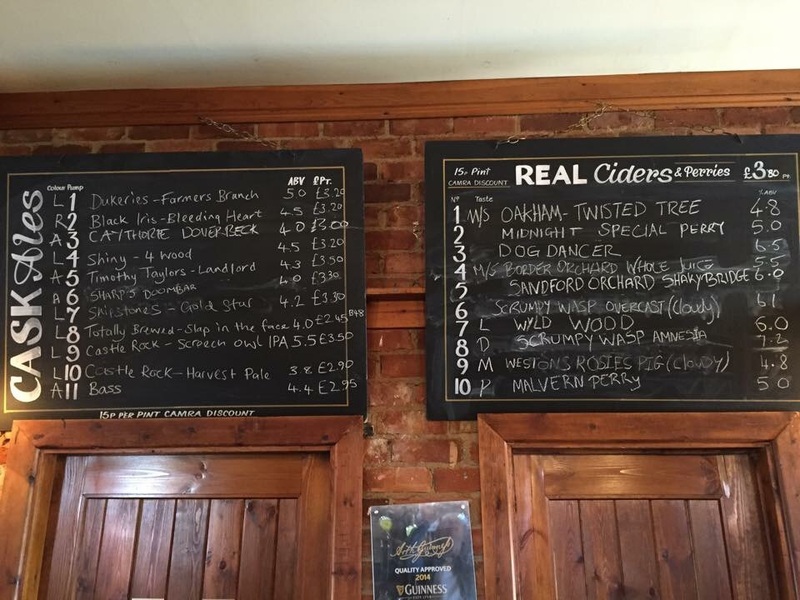 There are plenty of choices of ales and ciders! 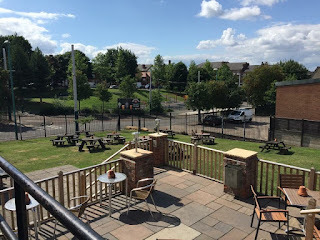 They change regularly too and include many local ones including those from Shipstone's Brewery which is just around the corner from here. There is a discount on these for CAMRA members too. When it comes to food, it's pretty much burgers, burgers and burgers, however there is plenty of choice.. but they also do 'Hound Dogs' (hot dogs) too. I found that the menu was quite hard to read due to the bright contrasting colours and the layout was a bit all over the place. Once I had the hang of it, it got a bit easier. 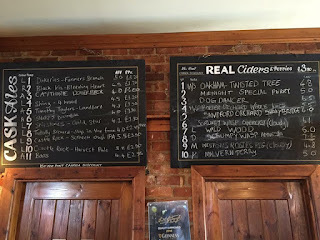 I didn't get a picture, but you can view the menu here: Click to View. 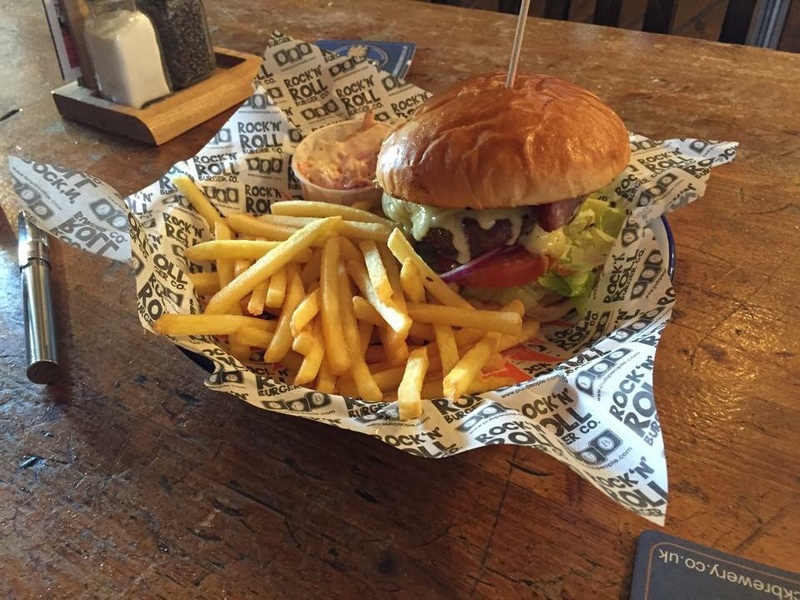 I chose to have 'The Memphis Belle' which in a nut shell is a cheeseburger. I wasn't feeling anything different and wanted to go for a good old burger burger. All of the food is served with fries and homemade 'slaw. They also come with onion rings too but I don't like them. 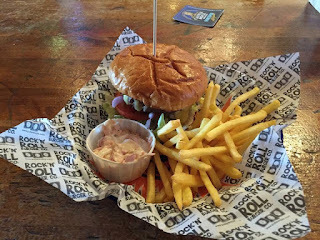 I really enjoyed my burger, it was cooked perfectly, the combination of flavours was very nice and the chips were nice and crispy too. My mum chose to have 'The Johnny Cash' which was the same as mine but has additional crispy smoked streaky bacon. She said she really enjoyed hers too but was far too much for her to eat so ended up leaving some unfortunately. There was a dessert menu, but we couldn't manage anything else. It was just a quick visit anyway. 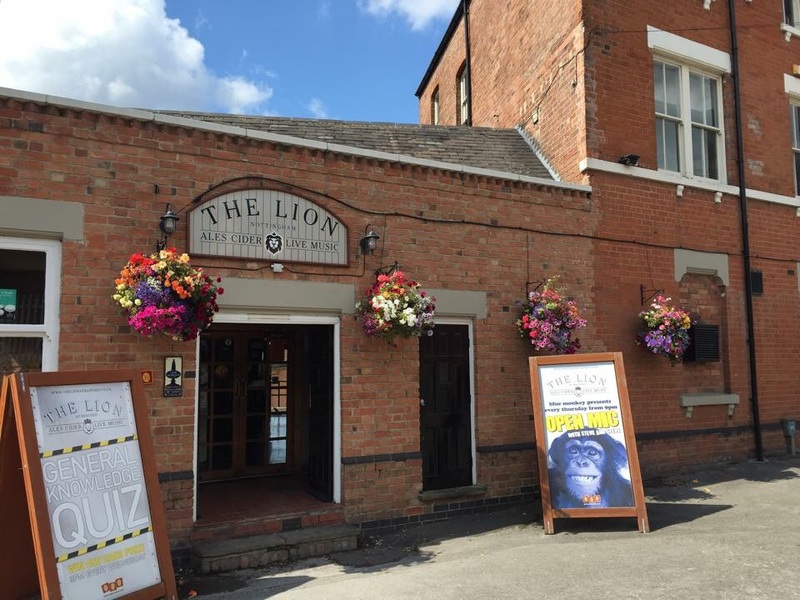 The Lion is really easy to access, I was quite surprised as I do get nervous driving around Nottingham. If you're on the tram, the stop is literally over the road! 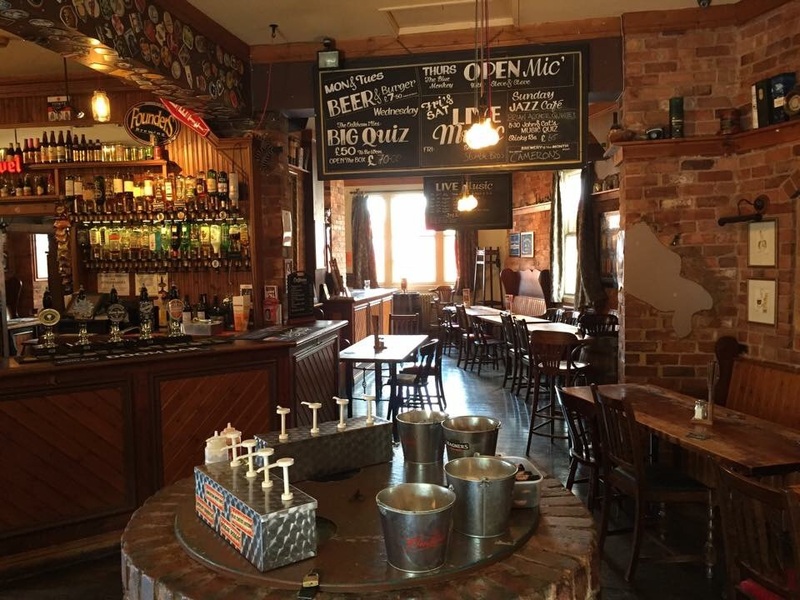 They are quite big on entertainment here and regularly have live jazz music, open mic nights, bands, quizzes.. the list goes on! I'm told they are really popular and always have a great turn out. 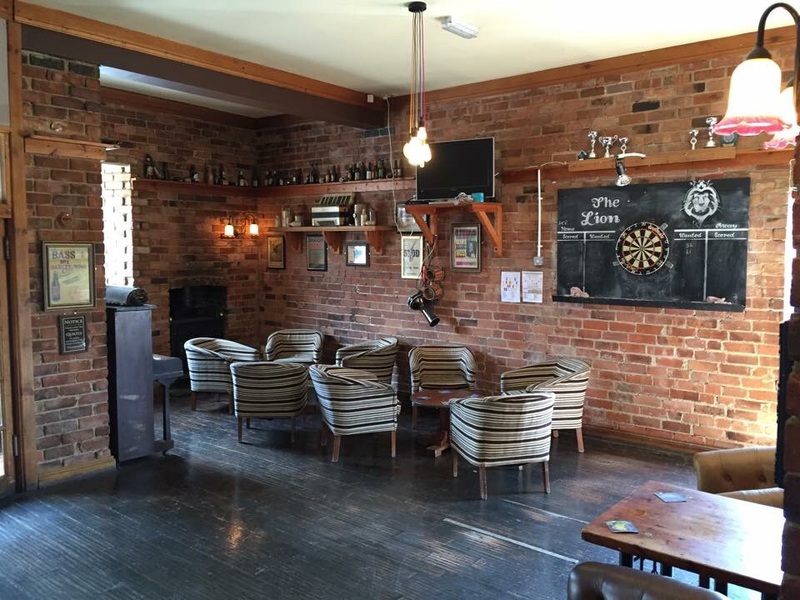 If you're looking for a function room, they also have one of these at The Lion - something to bear in mind. Overall, I would definitely return to The Lion, there's a great atmosphere, plenty of choice with drinks and proper decent burgers and it's all really good for the money. It's worth a visit if you're in the area for sure. Greg has only just taken over as landlord of The Lion so watch this space! Good things will be coming. 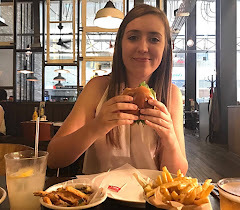 Thanks for viewing & happy national burger day!